I love games with a unique premise. There's lots of games out there in genres that have been done over and over again, with more coming all the time (which isn't necessarily a bad thing, mind you). So when I see something new and different, I always find myself drawn toward it. Well, this is certainly a new game genre from what I've seen before. 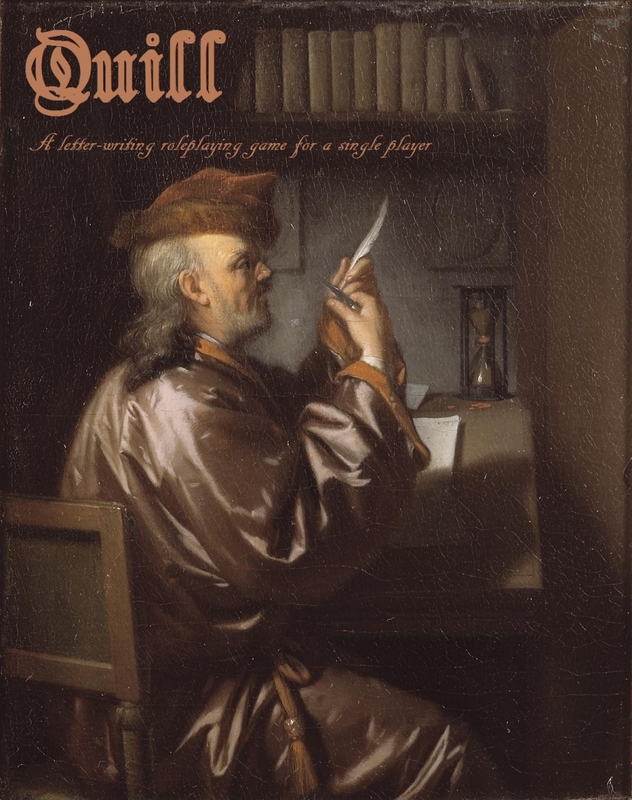 Quill, from Trollish Delver Games, is a solo letter-writing RPG. Yeah... not something you're used to hearing about. In the game, your character has such stats as "penmanship," "heart", and "language." It's their goal to write the perfect letter for any given scenario. In the game, you'll use your ink pot in order to write your letter and achieve a high score. Quill's designer, Scott Malthouse, said, "Quill was born out of me trying to figure out an alternative way of doing combat. I came up with this mechanic where words were used instead of attacks and that's how Quill was created." The game is available now to download and is a "pay what you want" product.